Various types of men’s clothing that we witness these days are proof that the sky is the limit for men to be fashionable. As men’s fashion items, these clothing can also be customized based on each man’s taste and personality, which have potentials to enhance men’s opportunities to improve on their appearances. Tops, in which Polo, Raglan, and full print types are among the most sought-after, especially when used in more casual settings. Many of these tops have logos, texts, unique character pictures, or other customized designs, which are able to make the wearers’ personalities stand out from other people. Sportswear, the number one most popular fashion items for sports junkie who want to be more attractive. There are different jerseys on basketball, fishing, volleyball, cycling, and many more, with many designs and texts, depending on the men’s sports teams. There are also running shirts and MMA rash guards that come in full sets of fashion items or Muay Thai shorts as one of the sporting pant. Jackets, which are often used to shield from windy or cold weathers as well as enhance one’s appearance. Among two types of most popular jackets for men are hoodies and crewnecks which have different printings, texts, or pictures, with diverse patterns and color stability, making men who wear custom jackets appear more convincing. Tops, the customized designs, texts, or pictures can be placed on the front side, back side, or both. Those customized designs, texts, or pictures can come in larger or full-bodied sizes as in Raglan and full print to accentuate on both of the wearers’ personality and appearances, or smaller ones as in Polo as accents. Sportswear, like tops, usually has bigger designs or number-based texts to make it more attractive. The differences are that jerseys’ designs are placed on both sides. Besides, both the designs and number-based texts are adjusted to the sporting team’s characteristics instead of the individual personalities, regardless of whether those are jerseys, shorts, or full sets of sportswear-related fashion items. Jackets, as in hoodies and crewnecks, often have designs on both sides. Compared to most tops or jerseys, jackets often have smaller to medium-sized custom printings or pictures, so the background color and patterns will be strengthened. However, single or multiple-lettered texts are enlarged, to show other people the convincing messages that the wearers want to be heard about as well as projecting a strong, capable, and attractive aura. In the Philippines, there are no other custom men fashion printing services than Custom.ph, our website. At our one and only custom fashion printing service, you will be able to design your very own fashion items to be more attractive. Our aim as a custom clothing printing company in the Philippines doesn’t only stop in providing the best online shopping experiences. At Custom.ph, we give you freedom in choosing your preferred designs, texts, pictures, patterns, colors, and/or any other customized designs for your own attractive men fashion attires and accessories. We are also proud to be the one and only custom men’s fashion printing service in the Philippines to offer you an online design simulator, which will enable you to upload your own images, type in whatever texts you want for your tops, jerseys, or jackets, and ultimately, adjust your designs from the front, back, or both sides. Our unique business models, by any means, are no hassle: You just need to pay, confirm your payment, and let our best quality printing and material, as well as shipping processes, do the rest. 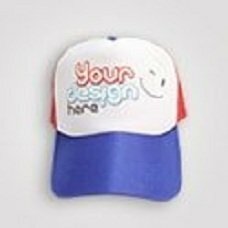 After all, in our one-of-a-kind Custom.ph, your convenience to freely design your fashion items as a customer means a lot to our satisfaction.